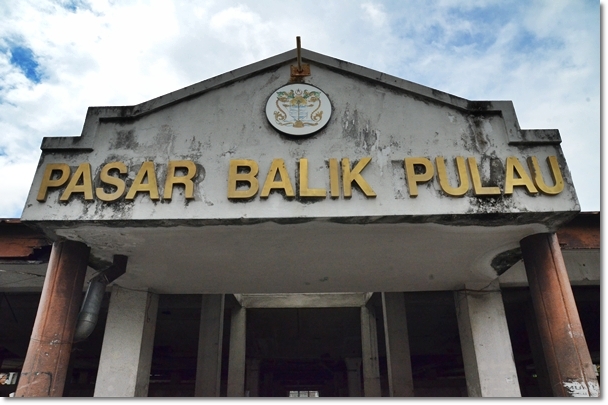 You see, beyond the glitzy fame and glittering fortune of Georgetown and the multitude of land reclamation, premium condos and commercial development along the shores of Penang, lies a dormant town named Balik Pulau. A countryside landscape so breathtaking, this could be the last green lung left before this small island becomes a 100% concrete jungle. 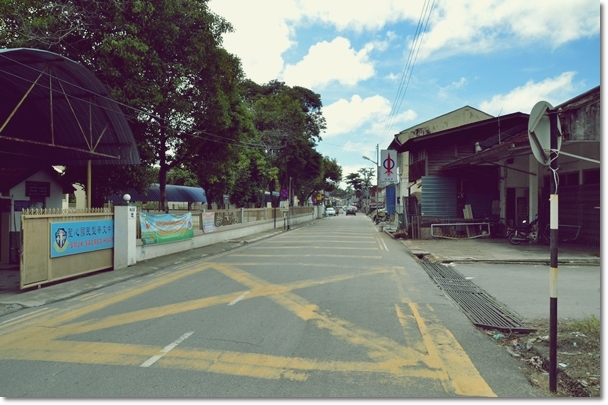 The main T-junction of Balik Pulau that connects Jalan Tun Sardon and Jalan Balik Pulau, where you can find Nan Guang coffee shop that is famous for the Balik Pulau asam laksa. Young and old, lovers and haters. Everyone comes to Nan Guang for the Asam laksa (or the Siamese laksa, but on a lesser scale), washed down with an icy glass of nutmeg juice with sour plum. 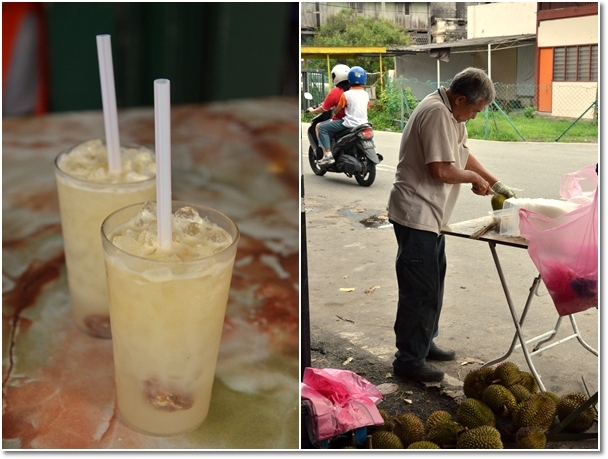 The Nutmeg Juice @ Nan Guang and the trader capitalizing on the crowd; durians for desserts after the satisfying bowl of laksa, anyone? 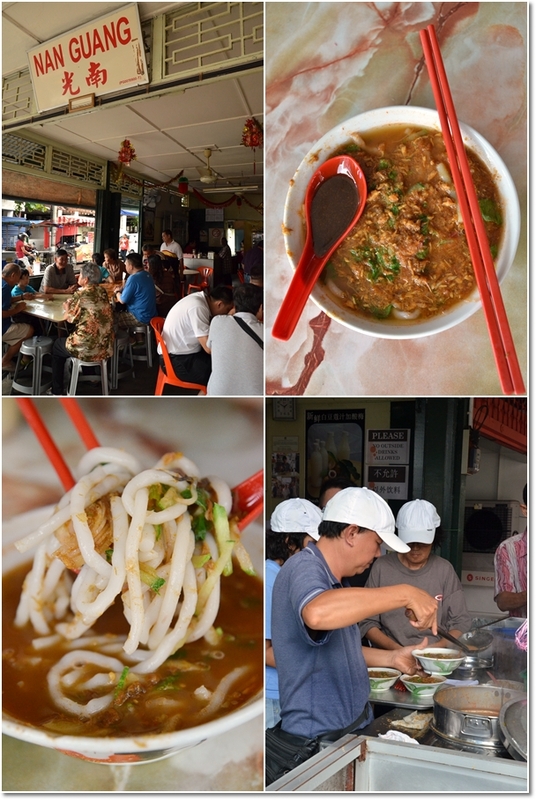 It took us a good 40 minutes or so to travel from the Penang bridge exit to Balik Pulau for the asam laksa. 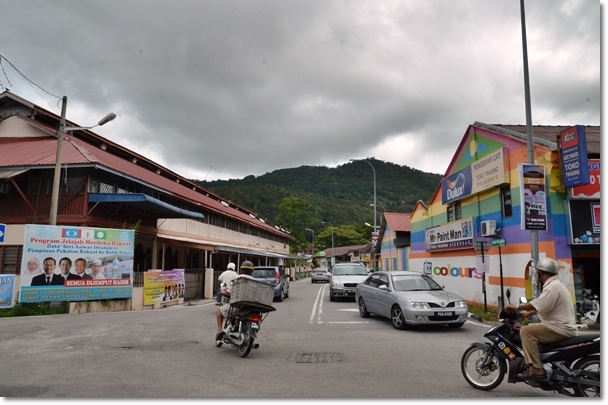 Although slightly less than 30km in distance, the traffic around Bayan Lepas and Paya Terubong, the convoluted path of Jalan Paya Terubong-Jalan Tun Sardon and the hilly hike along a one lane road took its toll on the estimated time of arrival. 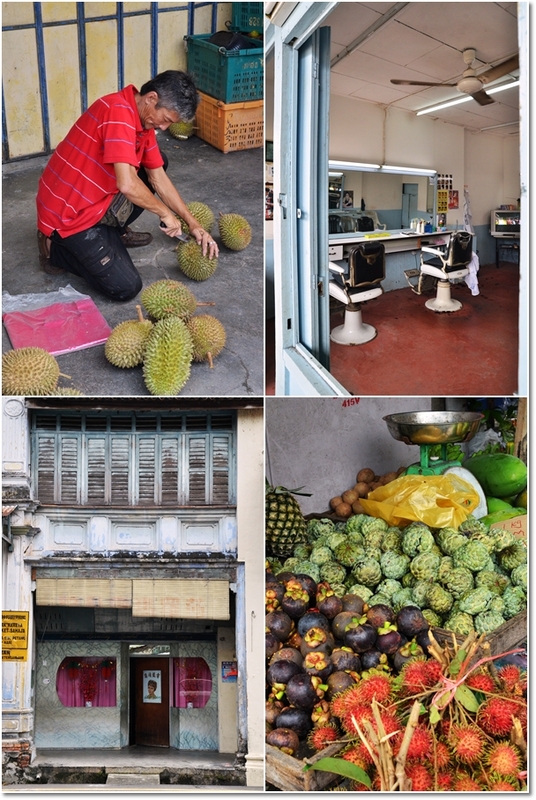 Classic hair salons, barbers, fresh tropical fruits by the roadside and the seller deep in concentration – skilfully cracking open a durian. 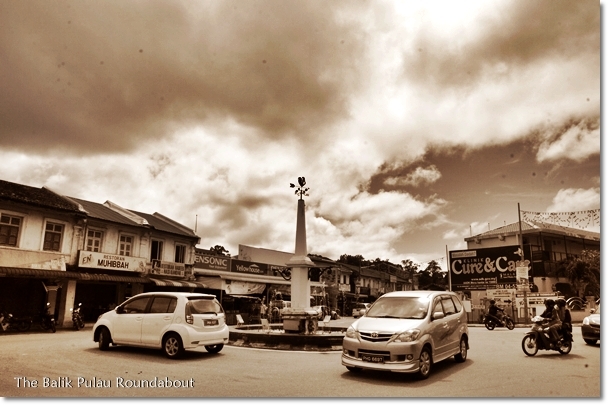 Balik Pulau wet market; beside Nan Guang along the main road. You can also find a mobile stall selling soya bean drinks and ‘tau fu fah’ (sweetened soya bean curd) in front of the market. I won’t hide the fact that I have been avoiding asam laksa like the plague since probably, a decade ago. It was a terribly horrific experience from one asam laksa stall in Ipoh that got me turning upside down; the 180 degrees shift from a lover to a hater. And 10 years later, here I am casually enjoying my bowl of asam laksa in Balik Pulau; generously loaded with more than a handful flakes of fish, julienned cucumber, mint leaves and a spoonful of pungent shrimp paste. The soup was spiked with a balanced tinge of tamarind juice and chili paste, while the rice noodles reminded me of Kuala Kangsar Pak Ngah’s; less translucent with more rice flour than fillers. The laksa soup was not spicy (at least to me), and very palatable. I simply cannot recall the taste of the other famous one in Ayer Itam wet market, but this shop is definitely a much cleaner premise compared to Ayer Itam’s. 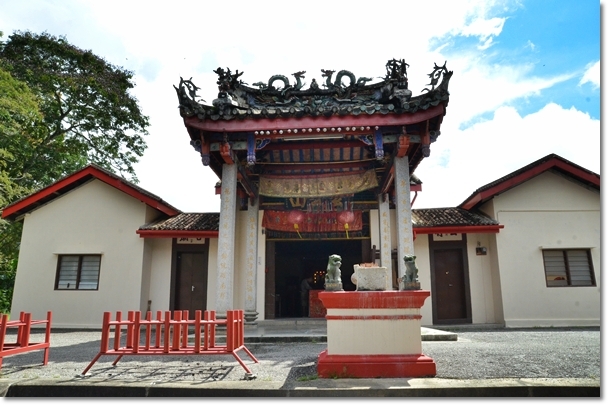 That being said, if you are in Penang for a short trip; say, lesser than 3 days, 2 nights, I would suggest for you to try Ayer Itam’s version instead. 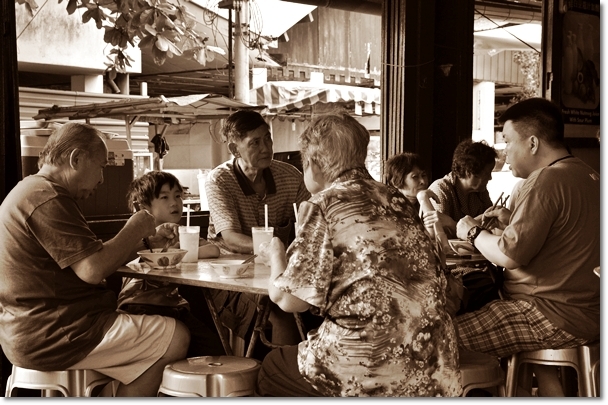 Or the one at Joo Hooi on Penang Road, so you can enjoy the famous cendol as well. But if you have the time to spare, or are trying to stay away from maddening crowd posing with graffitis and steel sculptures in the heart of town, then consider going west. 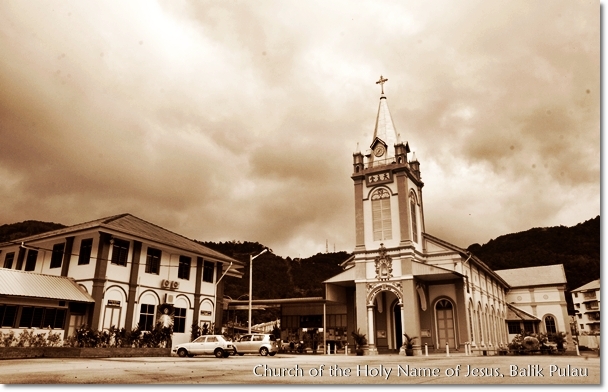 Discover the West coast of the island, where you will find lush greenery still maintaining their lustre and charm. Balik Pulau, Teluk Bahang and ultimately Batu Ferringhi are good spots to capitalize on without ruining a perfectly planned Penang journey. More on that to come in the following chapters. For the entire of next week, Motormouth will away on his last traveling stint this year. Destination? Where a lot of pork and beef dishes thrive, and a certain half-formed duck egg’s supposed to be an iconic food item indigenous to the country. Happy holidays to those on the roads, and remember to EAT well! totally unrelated to this post, sorry. 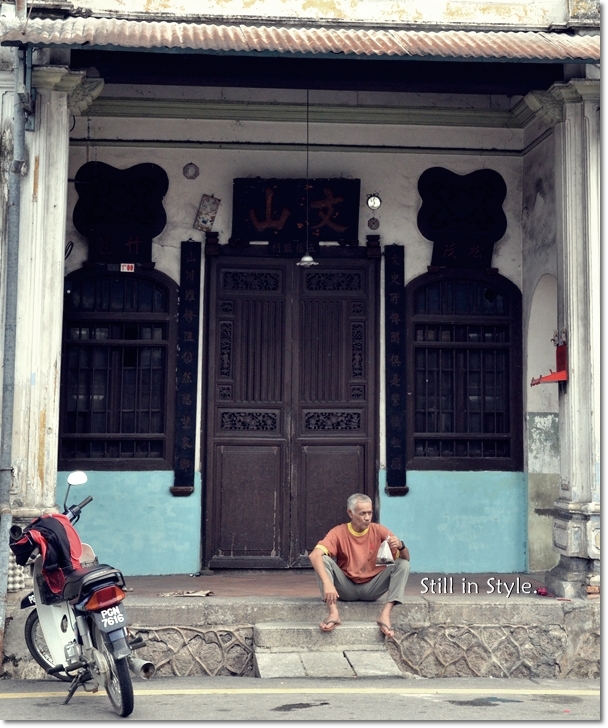 i will be stopping by ipoh for dinner on the way to penang next week. any restaurant that you would recommend? i remember reading your posts on teowchew and sichuan cuisine that piped my interest. This is not related to your post but I noticed A LOT of dust on your camera’s sensor. Time for sensor cleaning? I dont think Nan Guang laksa as nice as Chuan Heong Laksa. 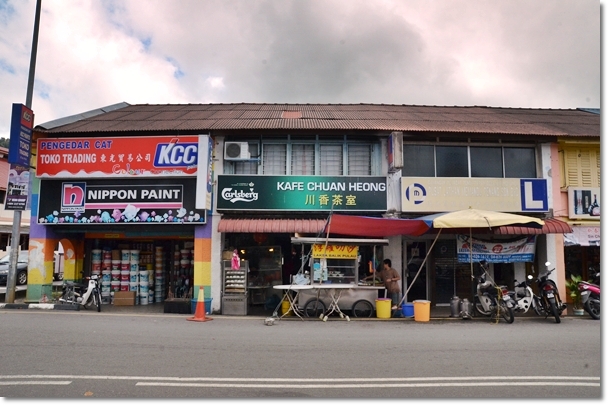 As i know, the stall in Chuan Heong Laksa is Balik Pulau original famous laksa and they were the one selling beside the roadside few years ago and now move to Chuan Heong and Balik Pulau new market. Anyway, everyone can just have a try to see which 1 taste better. Cheers. The Laksa at Balik Pulau town is not the best there. 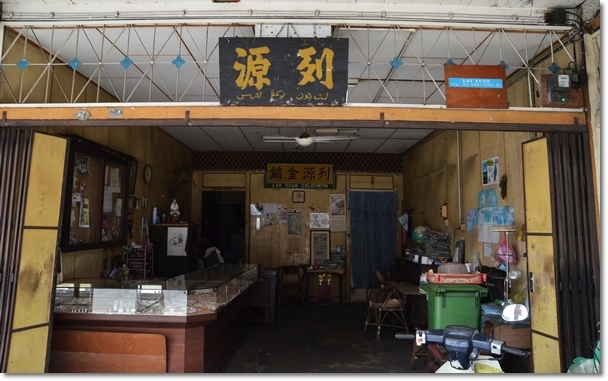 Ask Penangites and they will direct you to a kampong in Balik Pulau.2 laksa there, one Nyonya and another Malay where the locals go. Tried the Nyonya laksa. Don’t like it personally. Prefer the Balik Pulau new market asam laksa. loads extremely fast for me on Chrome. Exceptional Blog! Howdy! I could have sworn I’ve visited this site before but after browsing through many of the articles I realized it’s new to me. Anyways, I’m certainly delighted I came across it and I’ll be bookmarking it and checking back regularly! Woah this website is actually wonderful i adore studying your content. Continue the excellent work! 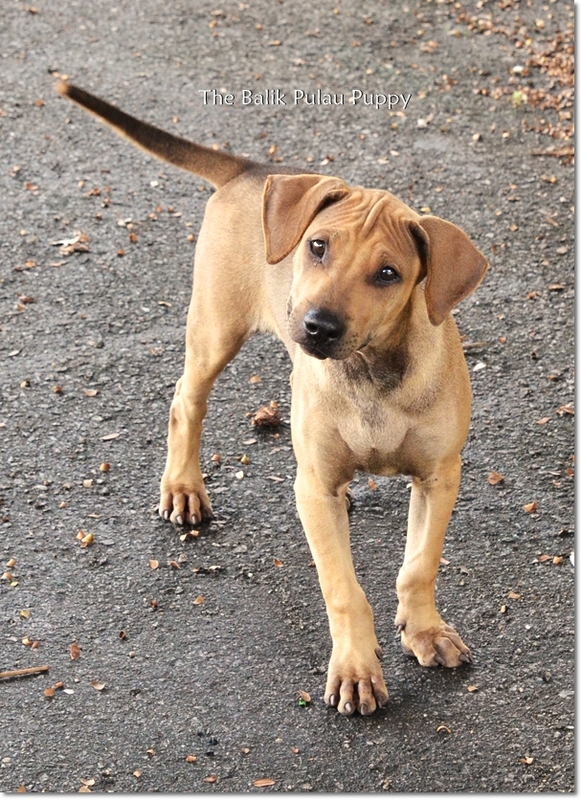 You no doubt know, lots of individuals are searching game for this details, you can help them to tremendously.